Roger Clemens is a right-handed pitcher who pitched in a total of nine games for Pawtucket, scattered through '84, '93 and '95. 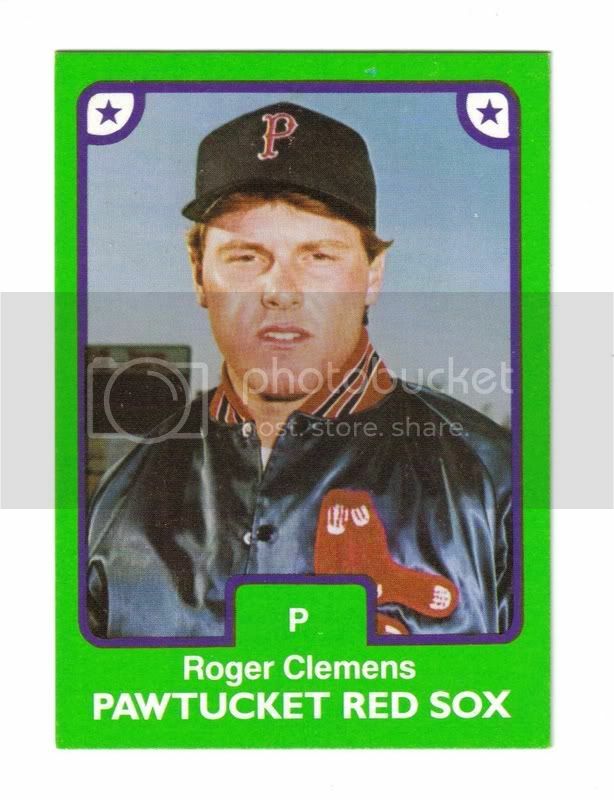 In 1984, at age 21, Clemens pitched in seven Pawtucket games, going 2-3. He started six of them. Clemens gave up three home runs and 14 walks. Let's see, that was 46.2 innings so say 6.6 innings per game. Except there was one relief appearance so this is getting into advanced math territory and I don't think algebra and baseball should be dancing together. It's like trying to cage a wild animal - sure, you can do it, but wouldn't you rather run into a Kodiak while you're making a snowman instead of throwing popcorn at it at the zoo? Roger Clemens started one game in 1993 and one in 1995. I'm sure it brought the house down. 2. Evidently, Clemens hung out here post-game while in Pawtucket. It is no longer there. Hey, I used to go there! They certainly never broadcast this information with autographed photos on the wall. Roger Clemens' mural is in the lobby of the first base tower.